**OPEN HOUSE SUNDAY, MARCH 19th 11:30-1:30** Immaculate, South Facing, Top Floor End Unit Condo! This two bedroom condo has undergone many updates in recent years with newer laminate floors throughout, stylish paint colours, and a refreshed bathroom and kitchen. Featuring IN-SUITE LAUNDRY with brand new washer and dryer in 2017, the windows were upgraded in 2014 and new patio doors were installed in 2015. This condo has two large storage rooms (in-suite! ), a walk in closet in the master bedroom and a very spacious balcony to enjoy on sunny summer days. Suite comes with one parking stall and there are additional spaces available for monthly rent as well as visitor parking. Bairdmore Estates has a fully equipped fitness room with sauna, as well as a salt water pool! Small pets are allowed with consent of management. 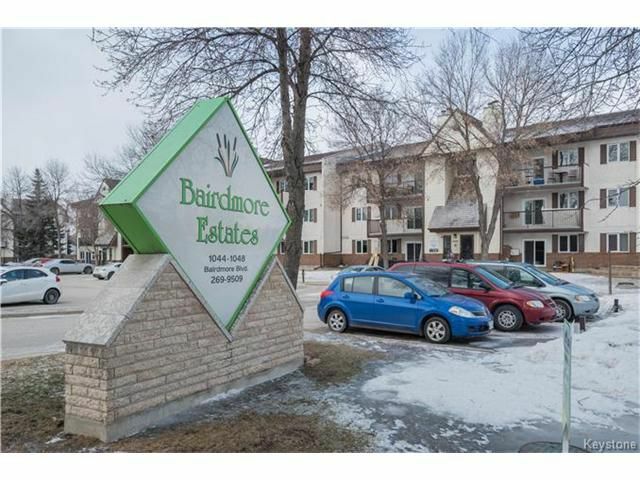 Don’t miss your opportunity to own this fantastic condo located very close to the University of Manitoba, transit, schools, parks and shopping! Call today!